Tied Escape: The Curse of Cortez starts with you and a friend each tied to chairs and to each other. You need to work together to hit the correct buttons to escape… err.. well, get the fastest time. 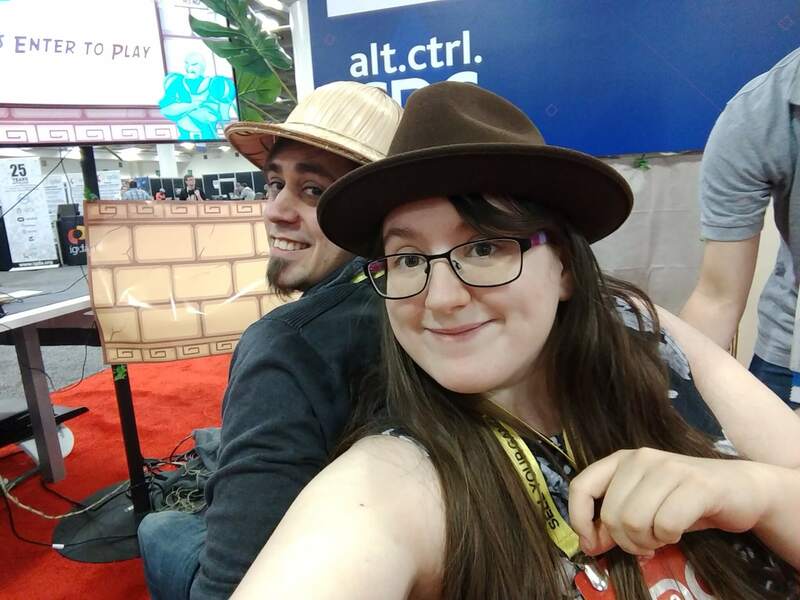 While at GDC, I spent some time playing as many Alt.Ctrl games as I could, but Tied Escape: The Curse of Cortez is by far my favorite of the section. 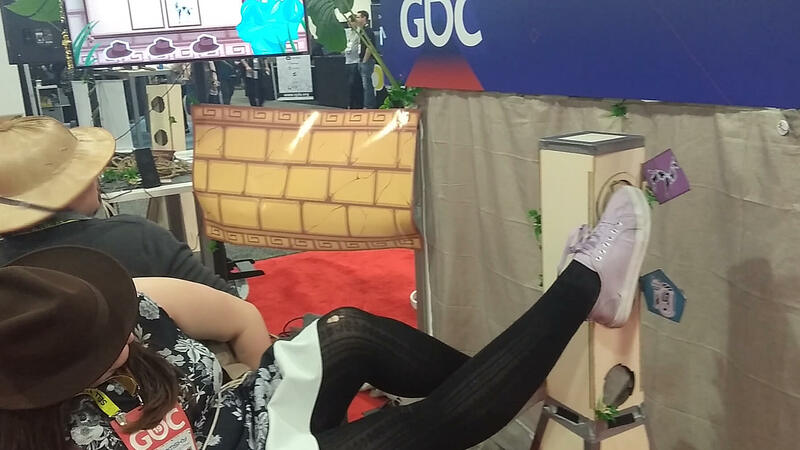 Actually, to be truthful, it’s probably my favorite game of all of GDC. It’s like something out of an Indiana Jones movie — no, I haven’t seen the film but this is what people kept saying. You start off by finding a friend and sitting in a chair. Your friend sits in the chair that rests at your back, meaning you are back to back. One of you is facing a screen which will contain instructions when the time begins. In front of the screen is a pole with a few symbols and buttons on it. There are a few more of these pillars, each with different symbols, dotted around the area. Once you and your friend have your hats on (just for show, to feel more into this strange environment) you’ll be tied together and the games will begin. Symbols then appear on the screen; either of the shape, color, or animal images on the symbols that you can find on the pillars around you. The person facing the screen will need to shout them out while you both work together to move the chairs around. The goal is that one of you hits the correct button with their feet. Sometimes, the screen requires you to hit and hold a specific button for a set amount of seconds, or coordinate to hit a few buttons all at the same time. Either way, there’s a lot of shouting, struggling to move the chairs that are tied together, and simple fun. Although this game is short, lasting only a few minutes if you’re fast enough, it felt good to play — like the start to an escape room. I’d gladly take this as a start to exploring a temple, allowing the player to escape the chair once this challenge was over and move onto a new one. I went back and played Tied Escape: The Curse of Cortez a second time, despite my limited time at GDC, because it was just that good. You can keep an eye on the developer’s website and see if this awesome games comes to an event near you — you don’t wanna miss out on it!